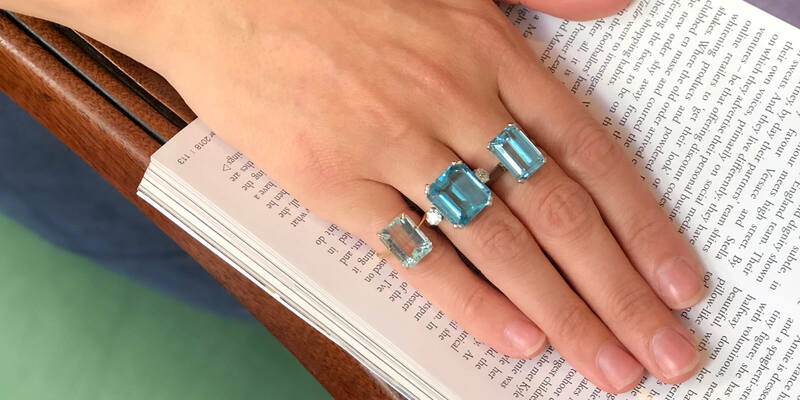 A unique piece of fine antique jewellery containing the recipient’s birthstone makes for a one-of-a-kind present which is as personal as it is thoughtful. 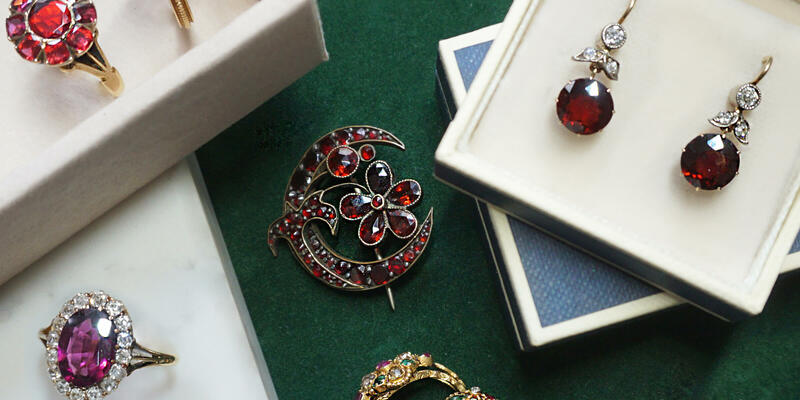 Birthstones have held significance throughout history. They are said to date right back to the Bible, originally representing the twelve tribes of Israel. The name of this beautiful stone comes from the Latin ‘granatum’ (‘seed’), a reference to the pomegranate seed, whose deep red colour is the best loved of the many hues of a garnet. 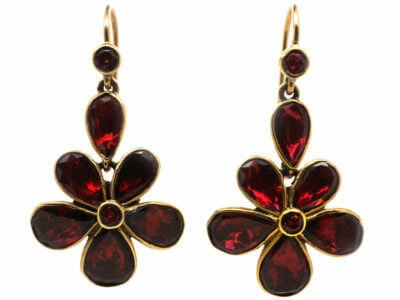 Garnets are widely believed to symbolise love, friendship and trust. 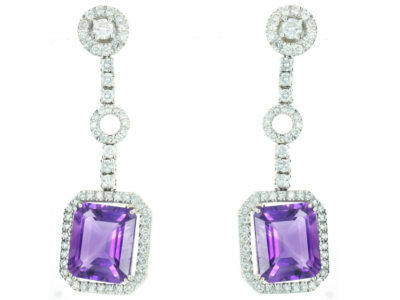 Party-lovers born in February will be glad to hear that their birthstone, the amethyst, has long been thought to prevent intoxication and keep a clear head. 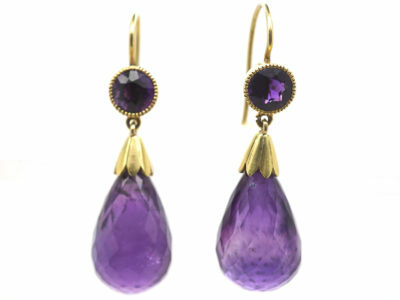 In fact, the name comes directly from the ancient Greek word: ‘amethystos’ (‘not intoxicated’). 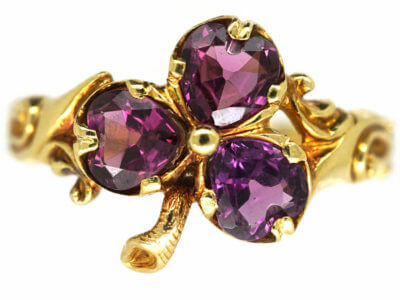 In the Middle Ages, amethysts represented royalty, although the symbolism of these purple quartz stones varies around the world and throughout history. 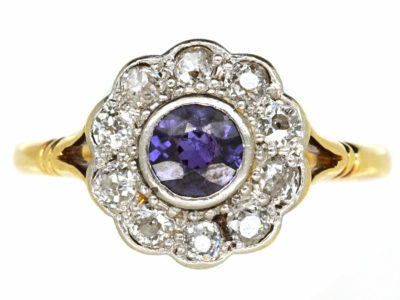 While amethysts can be found in a variety of hues, ranging from a very pale lilac to a deep purple, “Deep Russian” – a deep, strong purple hue – is considered to be the most desirable. 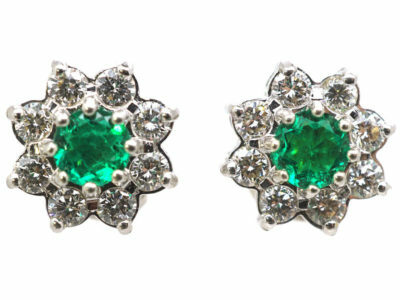 This durable gemstone has a cool, refreshing beauty which makes you want to dive right into it. Derived from the Latin, ‘Aqua marina’ (‘sea water’), it was believed to calm waves and keep sailors safe at sea. In an apt metaphoric twist, it is also thought to bring happiness in marriage. 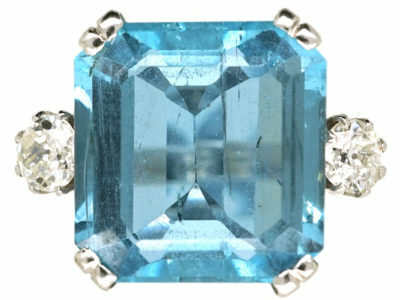 The most desirable aquamarines have high clarity, are transparent and have a blue to slightly green/blue hue. 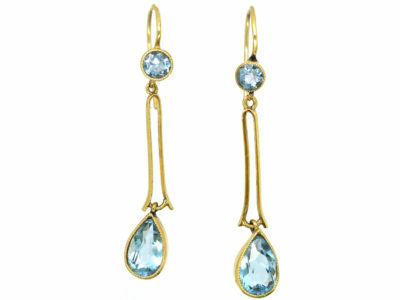 Aquamarine forms large crystals and are suitable for large fashioned gems. Good news for those born in March! If you’re born in April, your luck’s in. 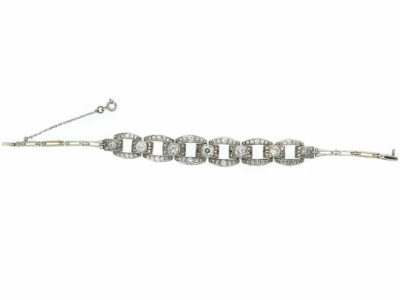 Diamonds are one of the world’s most durable, coveted and important gemstones. 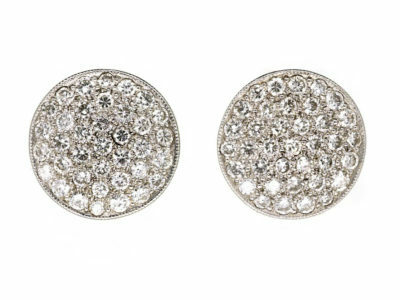 Believed to represent a range of attributes, from clarity and truth to perfection, the sheer brilliance and beauty of these stones are reason enough to wear them as much as you possibly can. Their eye-catching luminosity suits everybody. 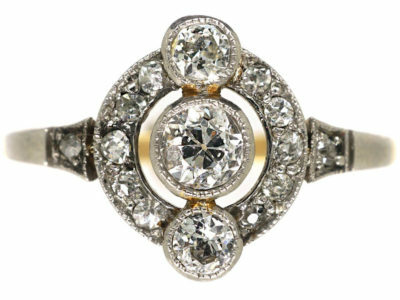 Read more about antique diamonds here. 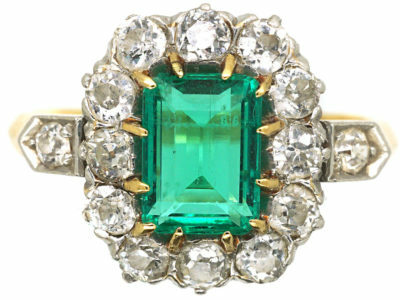 These intense green gemstones have been coveted throughout history. 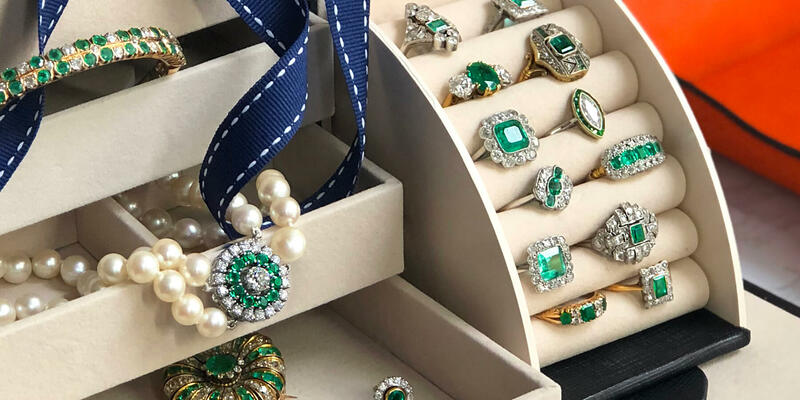 Perfectly timed (in birthstone terms) for the lush, green arrival of Spring, the vibrant emerald is said to represent rebirth and renewal, as well as intelligence. The structure of these stones allows for whopping great rocks – good news for May babies. The richer in colour, the better. Colombia produces many of the world’s finest emeralds. 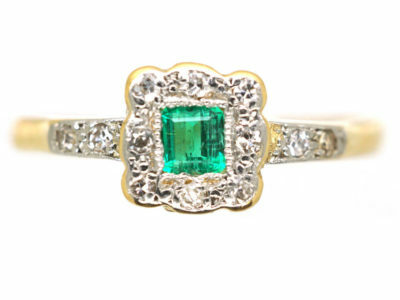 Read more about emeralds here. Greedy June has three birthstones to choose from! 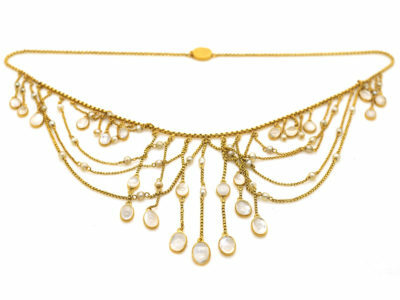 Pearls – timeless, elegant and pure – are organic gems that grow inside a living oyster or mussel. 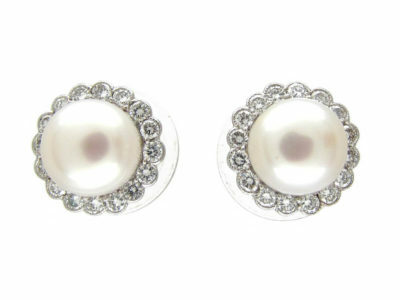 Modern pearls are often cultured, which simply means man has intervened in the otherwise natural process. These gems are vulnerable and need love and attention to ensure that they retain their luminous lustre. Moonstones have a mystical quality. They are easily identified by their adularescence – an optical phenomenon, a ‘glow from within’, that appears like rippling moonlight across water. Moonstones are said to represent love, passion and fertility. Some of the great Art Nouveau designers, such as René Lalique and Louis Comfort Tiffany, used these stones in their fine jewellery. They came to the forefront again in the 1960s ‘flower child’ movement. 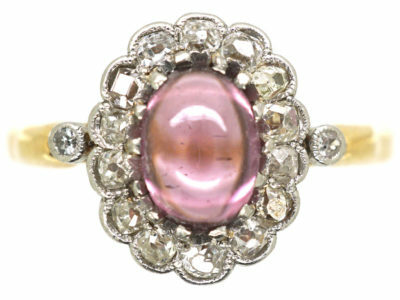 Alexandrite is an extremely rare gemstone that changes colour in different lighting. Named after Alexander II, this stone was first discovered in Russia where its red and green colours coincidentally matched the national military colours of imperial Russia. 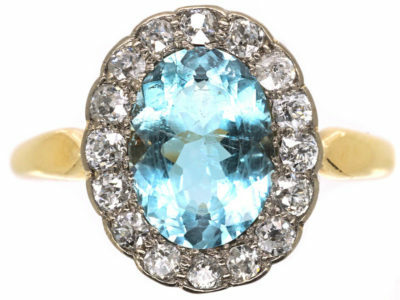 The most desirable Alexandrite appears as a vivid blue/green in daylight or fluorescent light and an intense red/purple in incandescent light. This fiery, fluorescent red gemstone is highly durable (second only to diamonds) and extremely desirable. 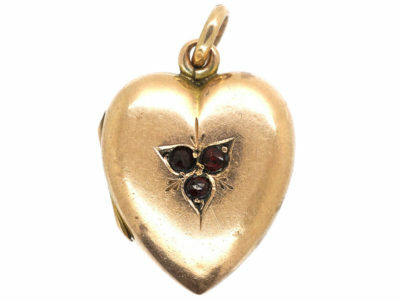 It is believed to represent passion, love and success. 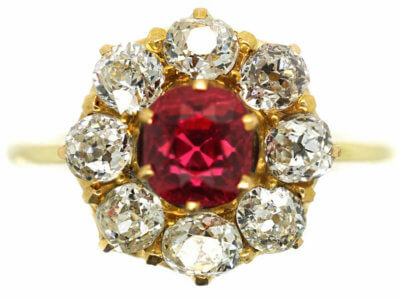 The most valuable rubies come in an intense red hue known as “pigeon’s blood”. 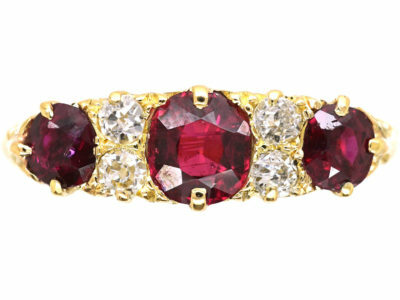 Myanmar (formerly Burma) produces many of the world’s most sought-after rubies. 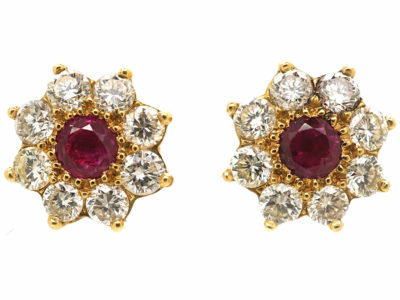 Read more about rubies here. 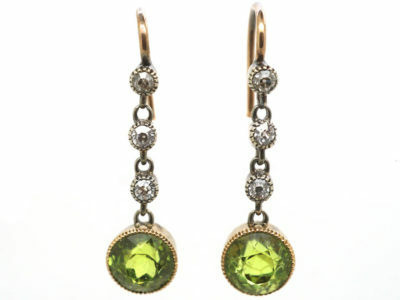 The ancient Peridot is a highly transparent gemstone with a stunning olive or lime green hue. They are known for forming under extreme, dramatic conditions, often found in substances such as hardened volcanic lava and meteorites from outer space. 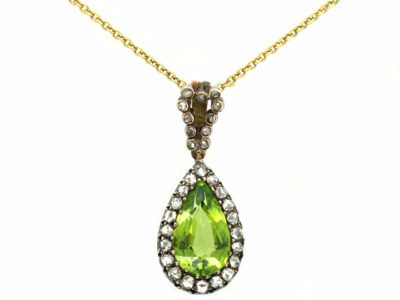 Peridot is said to have protective powers. The luminous, durable red Spinel is often confused for a ruby, and is popular around the world as a cheaper alternative to rubies. Spinels come in a wide range of red hues and are believed to calm anger and bring harmony. These intense, brilliant stones are extremely durable and highly desirable. 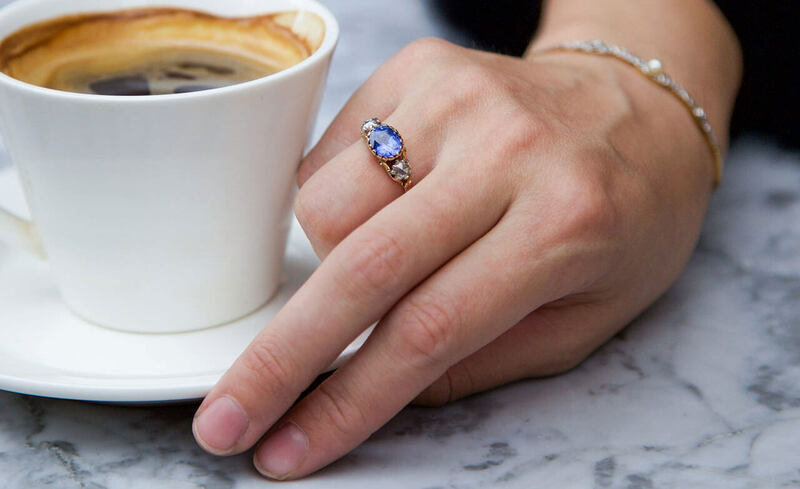 Although they come in a rainbow of colours (except red, which we know as rubies), the most sought after sapphires are crystal clear, eye-clean stones in an intense, velvety royal blue. 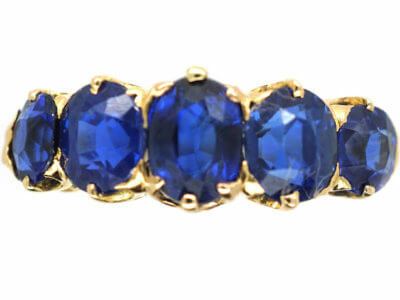 Princess Diana famously wore a large blue sapphire ring, which the Duchess of Cambridge wears today. A fitting choice for these royal beauties, as sapphires have long been associated with both royalty and romance. The beautiful Tourmaline and Opal are the ultimate ‘rainbow’ stones, as both come in a wide variety of colours, even combining colours in one stone. 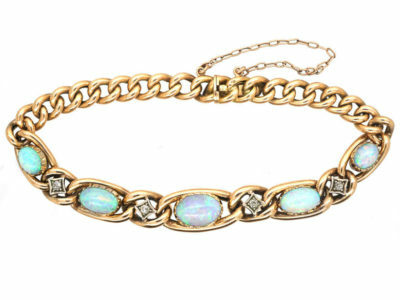 Opal is renowned for its dramatic colour play. While most opals consists of several colours you need to look out for the dominant hue (rare black and red being highly sought after). 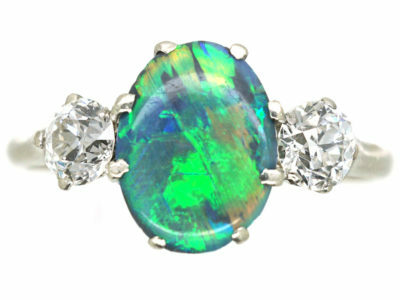 Australia is considered to be the most important source of opals. 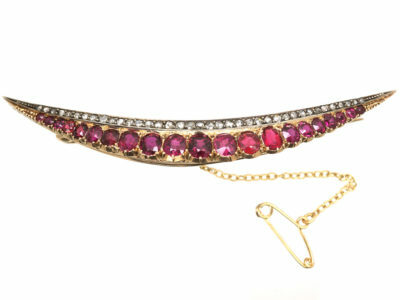 Tourmaline comes in a dazzling array of colours. Each is said to promote a different attribute – black for confidence, green for courage and strength and pink for love and compassion, for example. Brazilian ‘Paraíba’ tourmaline (also available from other countries these days) is highly sought after for its vivid hues, higher colour saturation and rarity. The electric green, blue and violet colours of Paraíba tourmaline are caused by traces of copper. 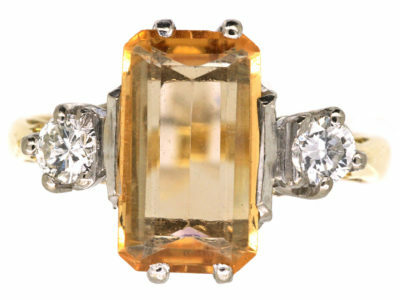 Both Topaz and Citrine emit warmth and calm via their glowing amber hues. 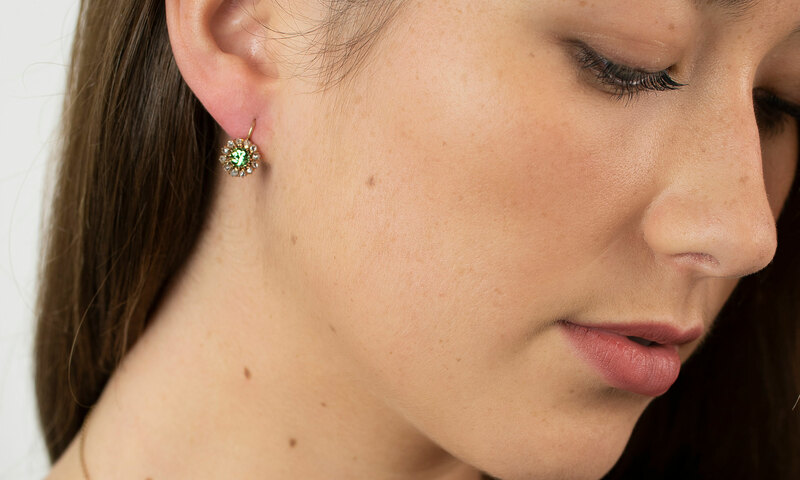 They are widely available and affordable – good news for November babies who can own a piece of birthstone jewellery in every shape of style. Topaz tends to come in a range of pink / orange / brown hues (very occasionally red). The distinctive pink/orange Imperial topaz has aristocratic associations. 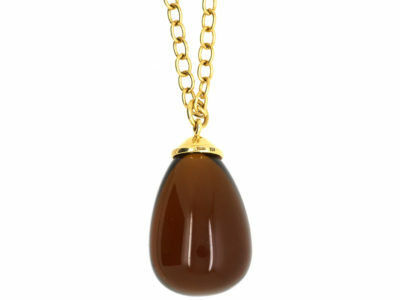 Topaz is said to have several benefits, from promoting strength and protection to beauty and intelligence. 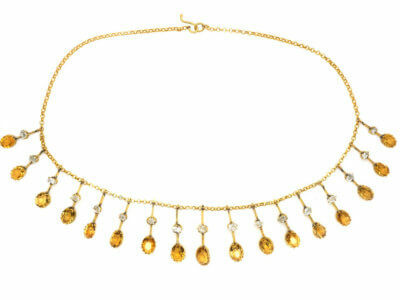 Citrine is durable and affordable and its attractive tawny colour makes it a very popular gemstone. 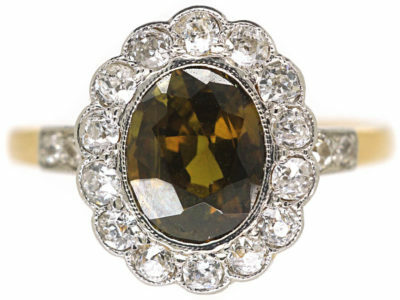 Citrine is very rare in its natural form – although stones set into antique Victorian jewellery can be found today – and is usually the product of treated amethyst. 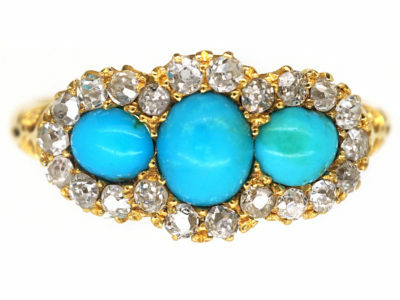 Turquoise is a vivid, green to blue gemstone which is semi-translucent to opaque. It often has ‘veins’ of matrix (from the rock in which it formed) running through it. 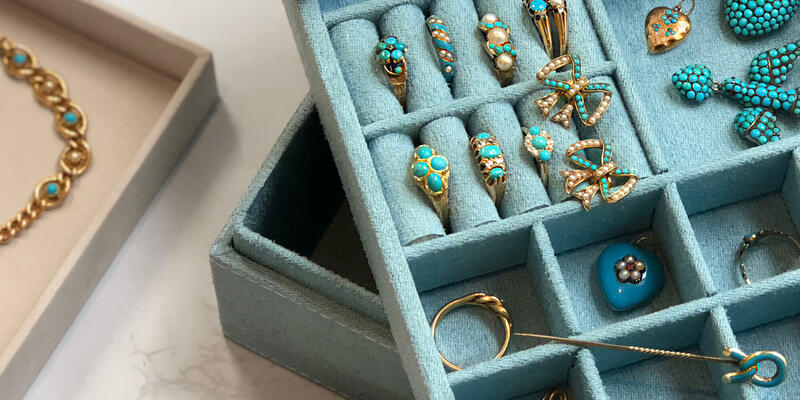 Turquoise was (and remains) revered by many cultures throughout history – most notably the Native Americans and the Ancient Egyptians. 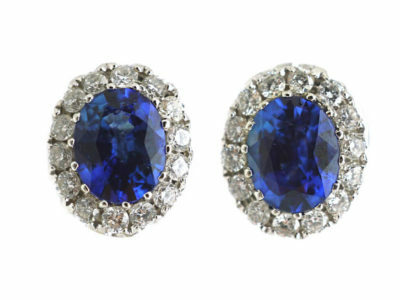 Named after its country of origin, tanzanite’s discovery in the 20th century caused much excitement. Its intense, velvety colour – which ranges from blue to violet – and potential for large cut stones make it highly attractive. 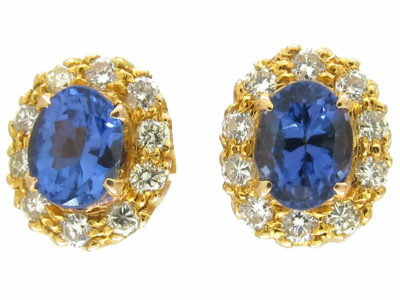 The bluest stones are considered to be the most valuable. Zircon’s colour palette – red, orange, yellow, brown, green, white and blue – is reminiscent of sunny December days. 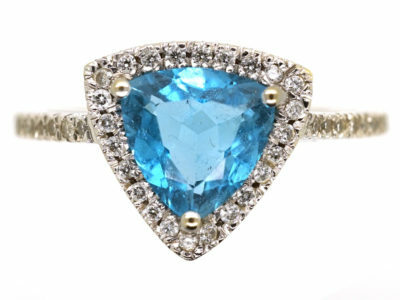 Victorians were particularly fond of blue zircon and some beautiful examples can be found in antique jewellery from that era.